This celebration of the mating game takes on the truths and myths behind that contemporary conundrum known as "the relationship." Act I explores the journey from dating and waiting to love and marriage, while Act II reveals the agonies and triumphs of in-laws and newborns, trips in the family car and pick-up techniques of the geriatric set. This hilarious revue pays tribute to those who have loved and lost, to those who have fallen on their face at the portal of romance, to those who have dared to ask, "Say, what are you doing Saturday night?" ...works as a director, producer, writer and performer. He recently returned from Germany where he co-created/co-directed I AM INVISIBLE with Bluespots Prod. He's written and co-directed STRANGE MARY STRANGE for Summerworks (Outstanding Direction/Production/Ensemble - NOW Magazine) and also wrote AFTERSHOCK (Best of Summerworks) and THE MURMURATION OF STARLINGS (New Works Fest. - Edmonton). His short film BAGGED, aired on the CBC and Movieola (screened at WIFT and DC Shorts). His play UNSTUCK, was part of the Clean Sheets Festival and Foundry Theatre, and will have it's world premiere in Vancouver in 2012. Directing credits include Edges and One Song Glory (Acting Up Stage), The Silent City (TO Fringe/Best of Fringe-Canstage) The Mercy Seat (Alchemy), Burn This!, Don’t Tell Mama, Vampire Lesbians of Sodom (Buddies In Bad Times) Chandelierva (New York Fringe), Perfect Life (Alleyway Theatre - NY), Kiss Me Kate, Anne of Green Gables, Cabaret, Footloose, Joseph…Dreamcoat, Les Miz (School Edition) and numerous Summer stock productions. He has produced Homebody/Kabul (Dora Nomination) with Mercury Theatre, Pterodactyls (Tarragon), Talk Sixty To Me (Summerworks) and an Ontario Tour of Shirley Valentine. Evan has trained at York University, Sheridan College and has his Professional Training Certificate in Theatre of the Oppressed from London, England. He is a member of the Lincoln Center Theater Directors Lab, Chicago Directors Lab, the Playwrights Guild of Canada and the Tarragon Playwright’s Unit, was a resident at Robert Wilson's Watermill Center in the Hamptons and is the Artistic Director of Directors Lab North. Next up, Evan is off to New York to create some new pieces for the World Wide Lab: A Director's Feast with 13 other International Directors. When he returns, he will direct the tour of FIRST DANCE. ...is thrilled to be a part of KooGle Theatre’s outstanding summer production as Musical Director. Trevor enjoys being an active Musical Director in the Greater Hamilton area, including productions with KooGle Theatre, Hamilton Theatre Inc., Dundas Little Theatre, Hammer Entertainment and beyond. Select recent Musical Director credits include: All Shook Up, Man of La Mancha, The 25th Annual Putnam County Spelling Bee, Smokey Joe’s Café, Broadway Couples, You’re A Good Man Charlie Brown. Trevor founded and performs in the rock band What’s Next and has appeared at Gage Park Festival of Friends (featured Jamilton Finalists for his original song entry), Lynden Canada Day Festival and Bayfront Case for Kids Walk as mainstage entertainment, and various local pubs and venues. Trevor is a much sought-after accompanist who stays busy freelancing as an award-winning organist and pianist throughout the city. He is a Teacher with HWDSB and is currently working on a follow-up to his New Age Nation CD. Trevor wishes to thank his wife Cheryl and their daughter Cristina for their love and support. Dean and wife Gayle decided their brood wasn’t substantial enough so they produced two more off-spring over the last few years, happily remaining in Collingwood! Dean continues to work as an entertainer, particularly excelling in his music of choice – that of Porter, Kern, Gershwin, Mercer, Carmichael, Rodgers & Hart and the like – his specialty and passion. He has just released his first solo CD “indicative” which he is currently promoting throughout, well…everywhere. Please visit www.deanhollin.com at your leisure. 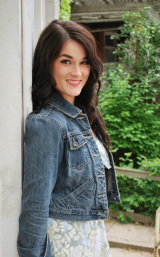 Alison is originally from Chatham, Ontario but she is currently living, acting, and teaching high school in Toronto. She is just thrilled to join the ILYYPNC cast! 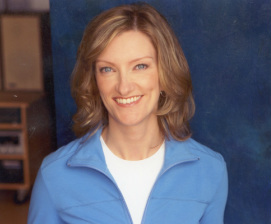 Alison is a graduate of McMaster University, Hamilton – Honours B.A. in English and Theatre, Diploma in Vocal Music Performance. While attending Teacher’s College in Glasgow, Scotland, Alison also studied in the Music Theatre Intensive Course at the RSAMD. Recent theatre credits include Pinkalicious: The Musical (Vital Theatre Co.) and Ivy in the Canadian Premiere of BARE: A Rock Opera (Watersedge Productions). Favorite theatre credits include: Eurydice in Eurydice (McMaster University), Hope in Urinetown (Hamilton Theatre Inc.), Cinderella in Into the Woods (UCC Alumni and Friends), and Cecily in The Importance of Being Earnest (McMaster University). Alison would like to extend her sincerest thanks to KooGle Theatre, the Artistic Team/Cast, and also to her wonderful family and friends.